As your investment portfolio grows, you might be considering partnering on a deal or two to have the ability to invest in bigger and better properties. Creating partnerships with other investors can open many doors for you, but you need to be smart about who you choose to work with. In our latest post, we will discuss ways to create a successful partnership when investing in Pensacola to Panama City real estate. You can accomplish more with a partner than you can on your own. While this is often true, you have to make sure you are working with the right partner. Just because you are friends or because you really like the person, doesn’t mean you should invest with them. Just like you wouldn’t want to live with all of your friends, you shouldn’t invest with all of them either. Here are a few things to consider before forming an investment partnership in Pensacola to Panama City. 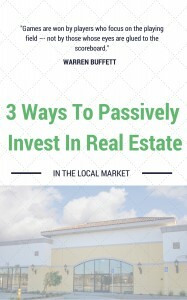 For many people, forming an investment partnership in FL is an excellent way to own a piece of a property they likely could not have owned on their own. Make sure you have found a great buyer than give us a call to discover the best investment properties in the area!